Registration for the 4th annual Kent & Sussex Bonspiel is now open! Our flagship bonspiel returns this November 23rd, 24th, and 25th. You can register as an individual and we will place you into a team with other individuals, or you can register as a team of up to 5 named players. The cost is £320 per team or £80 per person, which includes a hot meal at lunch on both Saturday & Sunday. 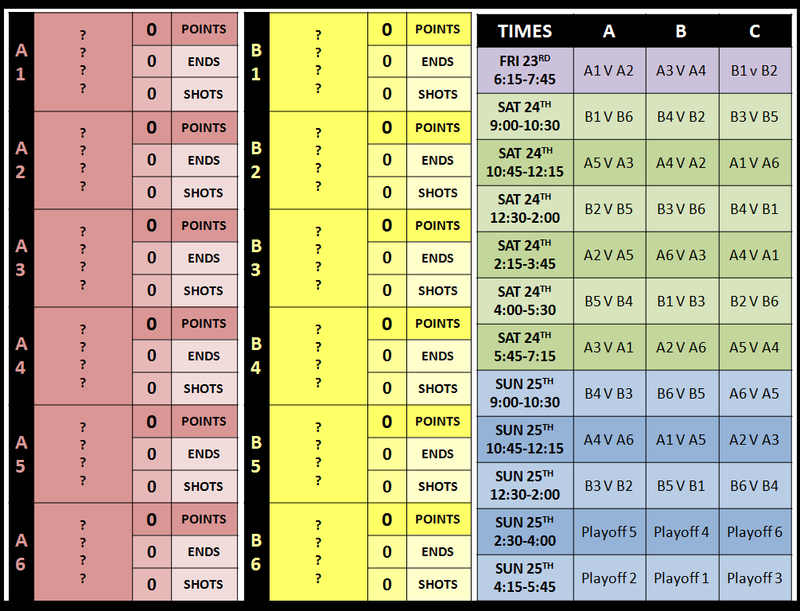 All matches are 6 ends (or 90 minutes), and each team will play 6 games. 5 against the other teams in their group, and then a playoff game against the correspondingly ranked team in the other group.